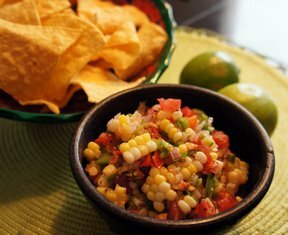 Fresh sweet corn, tomatoes, and other garden vegetables make up this versatile salsa that can be served with chips or crackers as an appetizer or as an accompaniment for your favorite grilled entree. Husk and boil the sweetcorn until desired doneness. You could also grill the sweetcorn if you prefer. When the corn if done, set aside to allow it to cool. 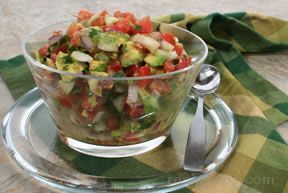 Dice the tomatoes, onions and jalapenos and place them in a mixing bowl. Cut the corn from the ears and add it into the mixing bowl. Add in the juice from one lime, salt and garlic powder. 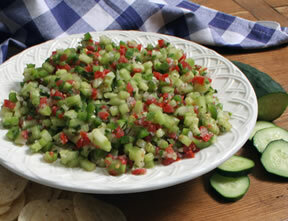 Chop the cilantro and mix all together. 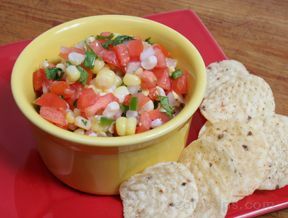 Can be served immediately or covered and refrigerated until ready to use.